We present the best range of global Air Freight Services to meet the requirements of our clients. Find out how our solutions can help you avoid delays. 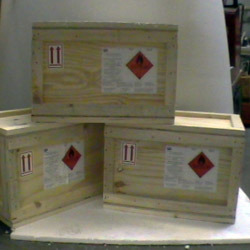 HMC is one of India’s most seasoned Hazardous Material Consigner through Air & Sea Freight. Our dedicated global team provide consultancy from initial concept through to the successful completion of any Haz transshipment within the decided period. We have excellent relationships with all major airlines to ensure that your cargo flies on time.- Worldwide Consolidation Services. - Expediting / Vendor Management.